The Specialized Jett Comp frame offers a nice compliant ride and with 29in wheels and the best tyre combination on test, grip was off the scale. 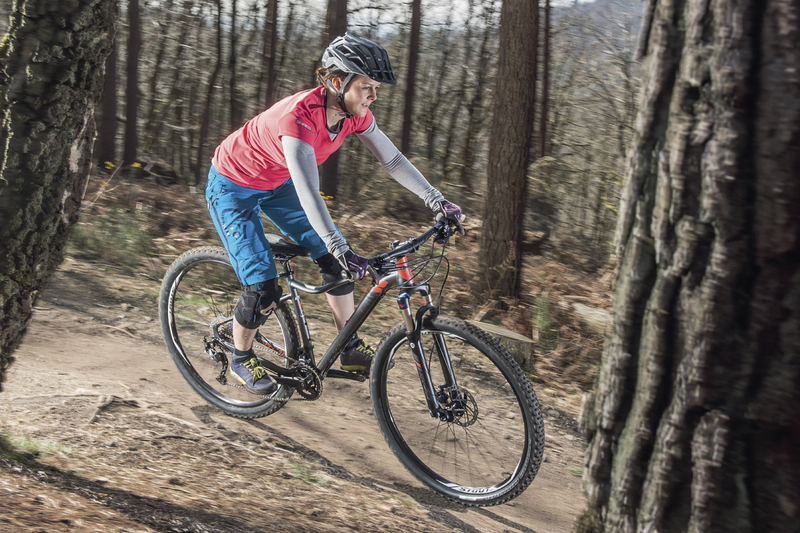 Which goes against conventional wisdom that prioritises fast-rolling tread patterns and compounds over security and confidence on rooty, rocky trails. 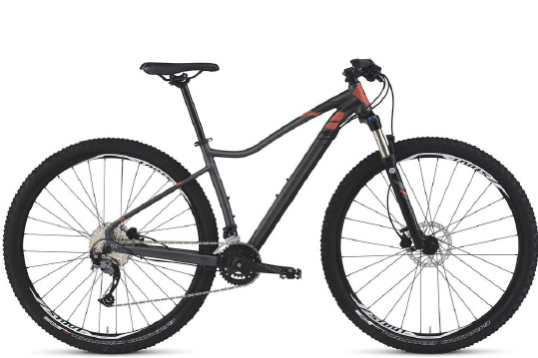 Specialized also bucks the trend on sizing, where the Jett is noticeably longer than the other bikes for women at this price range; so much so that it would really benefit from a shorter stem to make it easier to get your weight back and boost confidence on descents. Still, the riding position on the bike was reasonable, and the 29in wheels proved a real rollover bonus on the kind of armoured, flowing trails you’ll find at most UK trail centres. The mix of Shimano and SRAM components worked fine, but we struggled to get full travel out of the Suntour fork, as the coil spring was too firm. The Tektro brakes provide enough stopping power but riders with very small hands will struggle to get the levers close enough to the bar. The grips, which come with palm supports that force your hands into one position, were too fat, so we changed them immediately. With a few tweaks to the cockpit and a lighter spring in the fork, the Specialized Jett could be a great bike. As it stands, it’s a missed opportunity to excite women riders with the possibilities of 29in wheels, in the way that other, more expensive, Specialized women-specific bikes do.